AMAZING!! 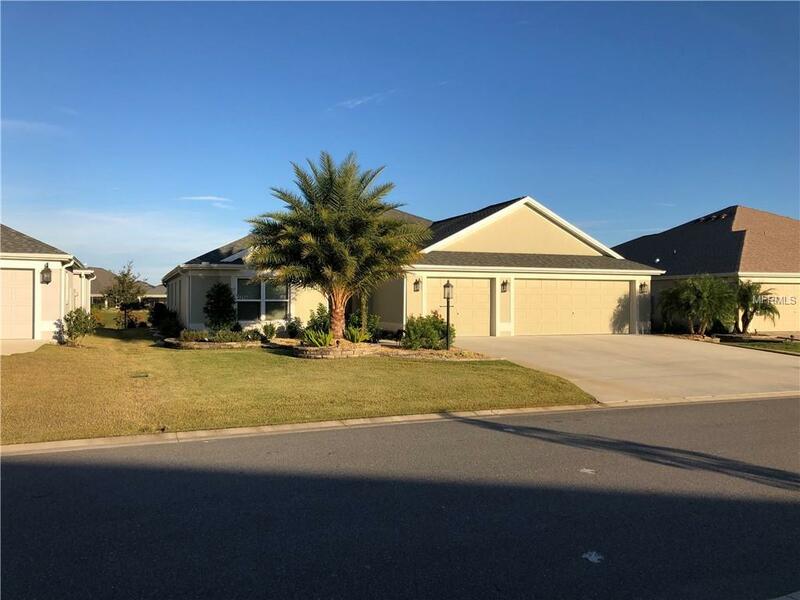 Beautiful custom WATERFRONT designer Iris in the VILLAGE OF PINE HILLS with numerous stretches bringing this 3/2 home to 2152 sq ft. Open floor plan has 6 feet in side stretches, including 4 ft in living room and 2 ft in bedroom suites. Stretches continue with a finished epoxy floored 3 car garage that is close to 1000 SQUARE FEET for all your toys, a 10 foot stretch to the lanai that opens to a 210 sq ft outside patio enhanced with a custom tiered lighted pergola and pavered extension beyond the patio! The outdoor living in this home could not be more enjoyable with its east facing backyard for cool, relaxing afternoons on the water! Open kitchen includes custom multi-level cabinets, granite countertops, ceramic backsplash, shiplap enhanced island, under and over cabinet lighting and added can lights... Entire house has extensive can lighting additions with dimmers and has been professionally painted which combine to give the home a warm glow in the evenings. All living areas have oversized crown moldings and baseboards with a beautiful cornice above the sliders which stack to allow for a seamless uninterrupted flow to the epoxy coated lanai. Hardwood floors and diagonal tile cover all rooms except carpeted bedrooms. Outside is professionally landscaped including the side yards. House is fully guttered with additional underground drains. No pets, non-smokers. Walk to Atlas dog park and Sharon Wiechens Conservation Park. Room for pool, furniture negotiable.